using tamper proof security tape. 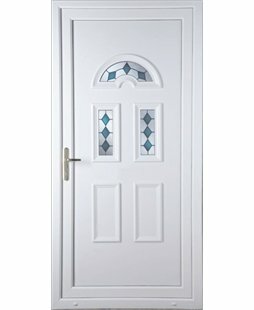 All of our uPVC, Patio, French and Stable Doors -as with our windows- are available in white, rosewood or light oak. Please add £159.00 (inclusive of VAT) to the price displayed for the rosewood and golden oak options. Thank you for getting my back door installed before Christmas. My elderly mum & I are most grateful. The whole experience from order to fitting went smoothly. Matt the installer is a real gem with good coms, and willing to go that extra mile. The staff are very polite and are happy to help, the installers were very polite too and accommodating. The door looks great, the installer did a really good job of finishing it off with a pebble-dashed exterior. Polite and efficient with the door installed in a couple of hours. Mr Miller our installer was very clean and polite, very helpful during the demonstration of the product and on how to register this installation. So pleased with my doors, I was quite apprehensive about the work to be done but I needn't have worried, the whole service from ordering to installation was fantastic. I will definitely recommend Value Doors. Steven Day came out to give me a quote for the door. He rang to let me know that the traffic was bad and he might be slightly later than we had arranged and asked if that was OK. When he arrived he measured up for the door and was very polite, friendly and able to answer my questions. On the day of fitting, Simon Day came to fit the door. He arrived very punctually and was also polite and friendly. He worked hard removing the old door and fitting the new one and just got on with the job quietly and efficiently. We then chatted through how to register the door etc. I am absolutely thrilled with the new door and the way that it has been fitted. There was no mess to clear up afterwards and it was exactly what I wanted. I thoroughly recommend Steven and Simon. They are a credit to your company. Best company I've dealt with in a lot of years. The fitter Matt was a pleasure to deal with. Matt the fitter was professional in his work and friendly. Cleared up all the mess and vacuumed. It is nice to have a reliable company who take pride in the work they do. I am absolutely delighted with my windows and my fabulous stable door. I will certainly recommend your company and Matt. Fitters were helpful and friendly. People in the call centre are always friendly too. Very good product. The fitter made a very good job. He left everything very clean and explained everything very well. All in all, I am very pleased with this installation. What a great service. There was no problem adding a dog door to our door. Thank you. Loved the idea that we could select exactly what we wanted online and were not subjected to a sales visit. Prices for each item are clearly quoted and your home is only visited by a professional who measures and fits your door. Great service and love the idea of this company. I originally viewed different online companies to find a good price so I knew how much I needed to save, I was very difficult to find upfront prices without getting a sales rep out first, your website was clear and provided the full cost minus any extras, arranging an installation was really easy compared to others. I did check your website often as I took me a couple of years to save up and your prices stayed steady and consistent which make it easy to save as the price didn’t change all the time. I will use your website for all my future purchases. The fitters were polite and very professional and will definitely use Value Doors in the future. Great price, great service & great installer. Excellent work by the installer, very pleased. Wouldn't hesitate to recommend to others. I am sorry but I have forgotten the fitters name who was very very professional and has done a superb job, thank you. Very happy with the installation. Home feels warmer already! Full marks to Matt Foster. When we went to the showroom we were greeted with a friendly smile and professional attitude by Mr Paul King. He was extremely helpful and very knowledgeable. He was able to come and quote for a new door very quickly and offer a very quick installation date as we needed the door doing before new flooring went down. On the day of fitting he arrived very promptly and when slight difficulties arose on the day he was not perturbed by this and eliminated all problems and completed the task in a very professional manner in very inclement weather. He left the house as he found it cleaning up as he went along. Overall we are very satisfied with the service provided and would not hesitate to have him back again and recommend him to friends, neighbours and family. Very pleased with our back door & good service. I am very pleased with my doors especially the Stable Door which I have always wanted. Paul the fitter was very good at his job and friendly. We were very pleased with our back door would definitely recommend Value Doors to anyone. The door was just what I like. The service the best I have had for long time .The men who came to the job cleaned up and were very polite and friendly. Did a good job. Very efficient service workers arrived on time and did an excellent job. 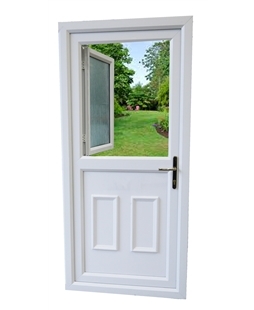 We are extremely pleased with Value Doors. Definitely use them again, would be more than happy to recommend to anybody who was after some new fitted doors. Very happy throughout. Advised well, supplied quickly and installed efficiently. Cleaned up well following installation and gave direct contact information so that we can contact him if any concerns. Thanks. Door was fitted quite fast after ordering, fitter was running late but rang me to let me know, which was good especially as it was only about 15 minutes. Lovely, polite person who left house the way he found it. I am now online looking for a new front door as I am that pleased! Brilliant, very pleased with the expert fitting and good quality of the door, much better than expected for the money. Helpful with advice on other matters concerning windows and security. Old door taken away. Fitted by Mat. Courteous, polite and friendly. Free lost key registration is a nice bonus. Phoned late Sunday afternoon, measured Wednesday, fitted a week later. Excellent. Thank you. Excellent product, fitting and service. Punctuality. Turned up on time to quote and fit. There's nothing worse than hanging around waiting for someone to show. Quick to establish what we needed and organise the order and fitting. Very efficient from start to completion. Kash and Arj were excellent. Very friendly, very professional and really took the time and care to do a first class job. Pleasure having them available to do the job. I cannot fault Matthew my installer. He took time to show me how the door worked. The door has already been admired. I am more than happy to recommend you to any of my friends. You have done a fantastic job and I love my new front door. I am going to get a quote from you guys for my back door in the next few months. Very happy with the service, will recommend. I am very pleased with the service I received from start to finish and it's only been two weeks. Thank you. Andy was very polite and obliging. Would certainly recommend Value Doors. Very happy with all aspects of the service provided, thanks. Absolutely over the moon with product and service from start to finish. Paul was polite, courteous and efficient and we wouldn't hesitate to recommend to friends and family. Many thanks. Very pleased with the work done, the fitter was great and I don't even have to touch up the wallpaper around the doorframe as his workmanship was that good. Great Service and would recommend to a friend. Goods supplied and fitted exactly as expected and to the price agreed. Overall we are very pleased with the installation. Excellent in all areas. Especially impressed with punctuality. My dealings with value doors through the Internet were very smooth. My initial contact was with Aubrey, he was most helpful and polite, he helped me through ordering my stable door. An appointment was then made for an engineer to come and take the measurements. Today my door was fitted by two very pleasant fitters, it went without any hitch. They have done a professional job and were very tidy throughout. This is one satisfied customer ,thank you. The fitter was first class installed with no problems and took all the old door and frame away and left area clean as when he started. Many many thanks. Fabulous service from start to finish :) love my door. The fitters where polite and friendly did a fantastic job cleaned up after themselves just brilliant would recommend to friends. Absolutely delighted with the service we have received from start until finish. Having initially spoken to Matt we had confidence that Value Doors were the company that could do exactly what we required. We had a front door and back door installed. The process from initial enquiry, measuring up, installing was flawless. Everything was handled very quickly. The installers could not have been better. They were polite, friendly and professional. I would highly recommend this company and should I require any further work I will be a returning customer. Many thanks. Mr Ray Jowsey was very friendly and efficient. Would recommend. 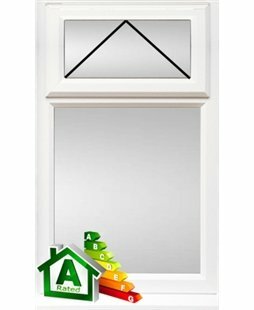 Excellent service good value our door was fitted by Greg. We are very pleased and would recommend value doors (and Greg to friends & family). Perfect from original phone call to completion. Installer was first class! Good door excellent installer, overall very pleased. Could not fault any of the work undertaken by Martin Hindle, he was very helpful and fitted the door perfectly, the finish is brilliant. 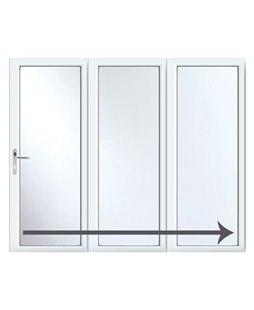 Would not hesitate to use Value Doors again in the future. Thanks. We were very happy with the service. Martin was nice and chatty and very tidy. He couldn't have been more helpful.We would like bedroom and kitchen windows done before winter sets in, Thanks very much. Impressed by low cost and good reviews. Andy was most professional in his customer service and workmanship. We found him to have good attention to detail, explained the product well and cleaned up after his work was finished. Would definitely recommend to family and friends. Good value for money. From order to fitting, the service could not have been better. We are delighted with our new door. Love the door and Dan did a great job installing it. Very impressed with all aspects of service/ installation and will definitely use again if need arises. Fitters took pride in their work, were considerate and professional. I had a front door fitted by another company a few years back, but the workmanship and fit is nowhere near as good as with Value Doors. They cleaned up so well afterwards, taking away all the old door and frame pieces, that you wouldn't have known anyone had been in to do anything, I was most impressed, and would recommend. Installer Mr Millar was excellent and carried out a professional job which we are very pleased with. Neill our Installer arrived on time and was very helpful and friendly guy. His workmanship was very good and he cleaned up afterwards. Would certainly recommend to our friends and consider using you again, especially requesting Neill. A suggestion I would like to make to improve the service further is to clean any glass in the door. Many thanks a satisfied customer. Rob was very helpful is all aspects of our door and window install. Thanks for the great job. Excellent. Competitive prices and very friendly. Work completed to a very high standard and would use again. Thanks for a great service and product very happy with service from start to finish. Very happy with my door the service was brilliant. Installer came when agreed and measured up. Lovely job fitting stable door, wish I had known about you long ago and will recommend your company to all who will listen. Thankyou to Bernard. Regards John. Lee arrived on the dot and had the door installed and cleared all rubbish within 90 minutes. Very professional work and attitude towards his craft. Thank you. Neil was great, always got back to me quickly and great on the day of installation. Our door was complicated to fit but he was very patient and allowed us to re-arrange several times because of complications. Really pleased. Thank you. An excellent service; highly recommended. Very prompt response to enquiry, installer called not salesman. Perfectly adequate time to installation by very good and friendly Rob. We changed mind and exchanged bottom plastic panel on stable door for glass. First glass arrived damaged and was changed without quibble. Overall a great success by good guy at very good price. Thanks. I cannot fault anything, from the initial survey to the fitting. Richard truly is a credit to your company and the door is superb. I will certainly be recommending Value Doors for both cost and service. The stable turn door is a brilliant idea, far cheaper than the normal stable door but still just as practical. I can take parcels off the postman with no chance of any of the dogs escaping through an open door is the dog gate hasn't latched properly! Very prompt and efficient work done to fit the door, tidy and left everything as was. Very pleased with the quality of the product and the fitter. Glenn did a great job, was very pleasant and knowledgeable. We felt confident in our choice of company and door. Andy got on with the job, everything looks neat and tidy after he finished. He was very pleasant and polite and we were very impressed with his work. We will certainly contact him again if we need further work in the future. We will certainly recommend him. A very simple personal service delivering a good quality product. Happy with the quality and value. Very happy with the quote and fitting. Stuart, our fitter, was very thorough and took pride in his work. Martin was professional, efficient, knowledgeable and did a great job. Will be happy to use this service again - thanks. Very happy that I went with Value Doors. 100% customer service from start to finish. Glenn explained everything before and after installation. Very impressed with the installation, very attractive. Richard was very polite and left premises clean, explained all the workings and will have him back for my garage side door. Scott and his partner were very punctual, knew their products and were very polite. Would recommend to anyone. Fabulous! Good job, pleasant fitter good service from when I enquired and got a quote through to fitting. Really pleased and will recommend. Big thank-you. I would highly recommend Stuart, the fitter. He was very helpful on advising us on our different options, he made contact to let us know exactly when he'd arrive, his work was of a high standard and he cleaned up after himself! Very polite, professional and friendly! The installer arrived precisely on time. The work was very good and the area was totally cleaned up. Greg (installer) was very efficient, courteous and polite and neat. Very happy with Greg and the work performed. Fantastic price for the quality. Installation was quick, with minimal interruption to our day to day life. Friendly, professional and extremely efficient work. The new doors look amazing. Very good fitter, competent and overcame problem with the door aperture which is not symmetrical. Flawless service from the installer. Thank you. The work that Greg Lewis did at my house was excellent. In fact excellent only tells half the story (he even filled in a couple of holes that my plumber forgot about). I was complaining to him about them and he offered to do them at thr same time as he did his own work. His level of cleanliness whilst he worked and the care he showed to my door was something I will remember for quite a while. Paul, the installer, carried out the work in a most professional manner. Great stuff, very pleased with Richard's work. Did a good job, even carried on through the rain. Thanks to Ray and mate, excellent job, clean professional work. Also answered all questioned I asked. Well done. Martin was friendly, very clear and open about what he was doing and left no mess. Friendly, efficient and good value - highly recommended. Fitter was very tidy and made a very good job of installing the door. The door itself seems substantial and fit for the purpose. Very fast and neat work to a very high standard. Will use again for back door. Installer worked hard left nothing we could fault. All in all a very good professional job and happy to recommend to our friends. Rodney was respectful and kind and listened to me on what I wanted done on my back door. He took his time and didn't rush things which gave it the perfect look. Now my back door is stunning and I am very happy with it. Excellent service. Meticulous attention to detail. Extremely pleased. Will definitely recommend. It was very difficult to fit the door because we have a archway on outside. So he had to fit it from inside and chip some wall out. Mark was very good at is job. We are very pleased with the workmanship he has done. Greg came to measure up and was extremely polite and courteous. Came to do the fitting on time and was again friendly and conscientious. A credit to you.